Though the blockbuster series is set to end, HBO has multiple projects in the "Game of Thrones" universe in the works. 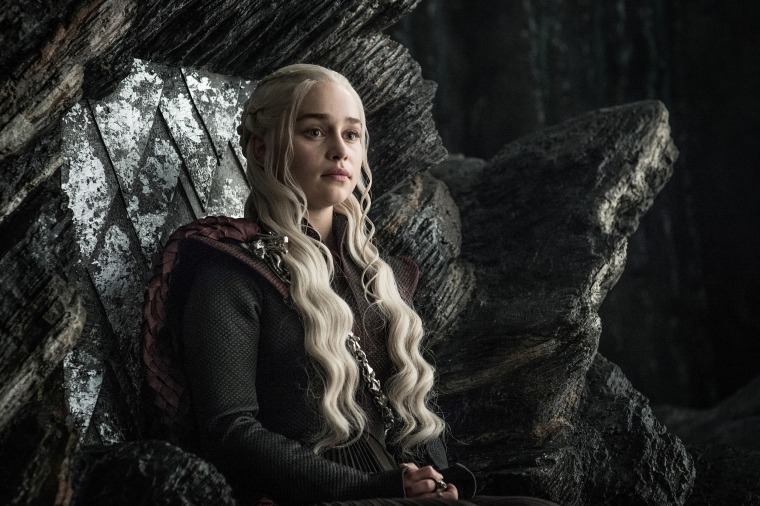 HBO has announced the final season of "Game of Thrones" will launch this April. Though no specific date in April is offered in the video, it nevertheless gives fans their first indication of when they can expect the highly-anticipated eighth and final season of the show that has become a global phenomenon. It will also no doubt come as a welcome surprise to the show's loyal viewers, who will recall they had to wait until July last year when Season 7 premiered. Seasons 1-6 of the series all bowed in April or late March. And although the flagship series is ending, HBO has multiple projects set in the "Game of Thrones" universe currently in development. The premium cable channel has already ordered the project written by Jane Goldman to pilot. Goldman's show takes place thousands of years before the events of "Game of Thrones" and chronicles the world's descent from the golden Age of Heroes into its darkest hour. And only one thing is for sure: from the horrifying secrets of Westeros' history to the true origin of the white walkers, the mysteries of the East to the Starks of legend — it's not the story we think we know. The Goldman pilot has begun casting, with Naomi Watts recently cast in a lead role along with "Poldark" actor Josh Whitehouse.